– They suggest wearing gloves to de-seed the Jalapeños. Do it. I never do, telling myself it’s too much work to go buy a box of disposable gloves, and I always regret it about two hours later when I rub my eye and spend a solid fifteen minutes cursing and tearing up. – Try to space your poppers out on the baking tray. I have a very small oven, so I could only get one baking sheet in there, and they all kind of clumped together when the cheese melted and I had to surgically separate them with a knife. So unless you want a jalapeño casserole, give ’em a little room. 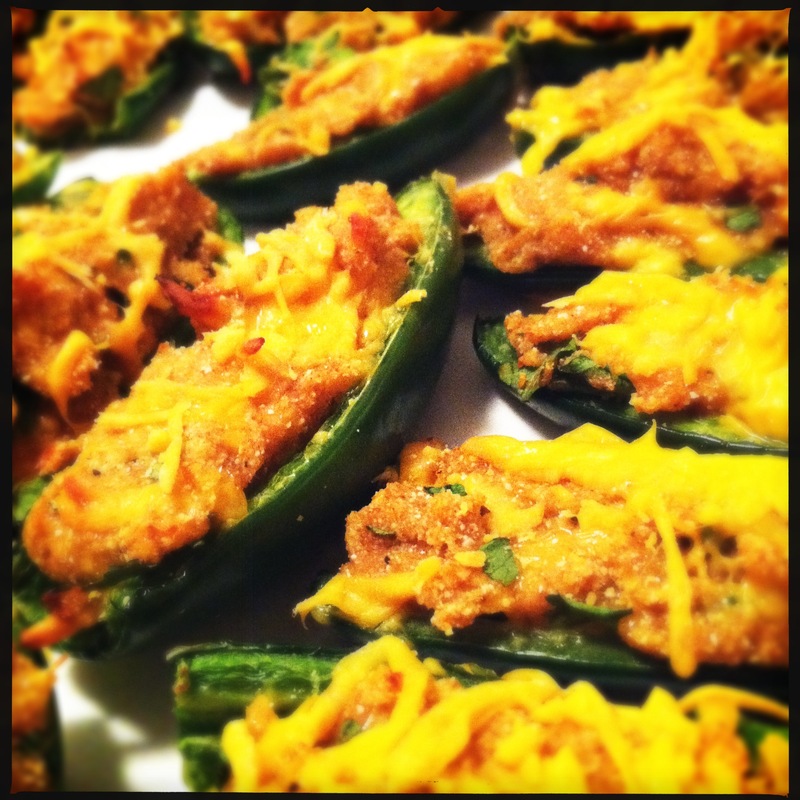 This entry was posted in Cooking adventures and tagged appetizers, snacks, vegetarian. Bookmark the permalink.